Lou is available for law enforcement education seminars for schools and guest speaking appearances for religious groups, senior centers, corporations etc. Lou is also available for expert analysis on Network/Cable News, Television Programs, Movies etc. A tough no-nonsense veteran of the New York City Police Department, Lou Telano’s career has spanned 5 decades!Lou’s career began back in the early 60’s as a New York City Correction Officer at “The Halls of Justice” a historic facility commonly known as the “The Tombs.” But it wasn’t until Lou became an undercover officer that his career began to take off! Detective Telano soon achieved the reputation as one of the most innovative and one of the toughest cops in New York City. Along with his partner John Sepe, they are credited with one of the highest number of arrests in New York City’s history. So successful where there methods for taking punks of the street that the undercover team was soon deemed The Lone Ranger and Tonto! Their days often found them trying to preserve their anonymity by dressing up in disguises so as not to alert their suspects. Lou and his partner often materialized as construction workers, Good Humor men, insurance salesmen, junkies, and as Hassidic rabbis. Once, they both reverted to their prior occupations as sanitation workers to make a drug arrest. Detective Telano’s appetite for undercover work has carried him virtually unscathed through several knife fights and many shoot-outs. Once as a patrolman, Telano was bitten in the line of duty by the enraged girl friend of a narcotics dealer he had just arrested. Soon after Hollywood took notice and the duo became the inspiration behind the hit TV Series Starsky & Hutch! From the “Halls of Justice” through the “Halls of Congress” Lou’s career has yielded him over 75 awards and citations and placed him next to Mayors, Governors, Senators, Presidents and dignitary from all over the world! MWW is a grass roots, all volunteer community wildlife conservancy in NYC, started by James Cataldi in 2009, dedicated to resident urban & migratory fish/wildlife and wild places. 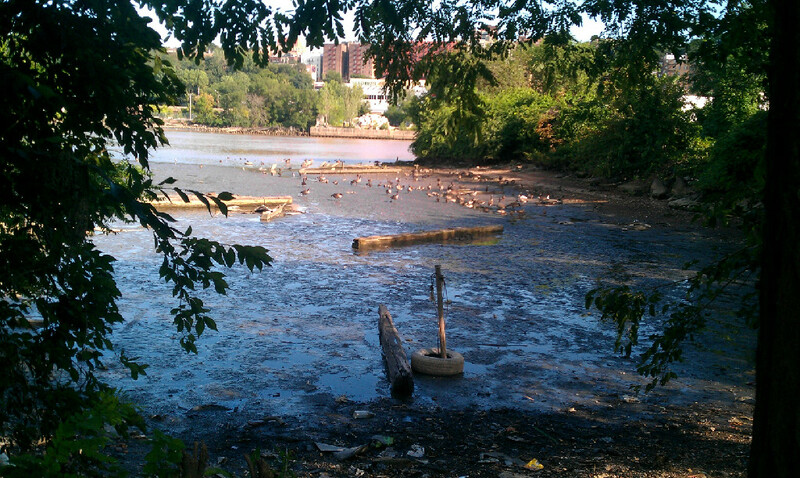 For 7 years MWW as provided stewardship for Inwood’s rare fragile tidal wetland inlet known as Inwood North Cove. MWW, and our community, has picked up, sorted and recycled 1400 cubic yards of trash; and cleaned up 12 large oil spills illegally dumped in the Harlem River. Over 70 different species displaced by urban development have stopped over at North Cove Wildlife Refuge. Fish and migratory wildlife rely on “Inwood North Cove in annual seasonal migrations to rest, heal, socialize & eat while on journeys along Atlantic Coast and in Harlem River. North Cove by where it is located promotes wildlife movement between Inwood Hill Park and Swindlers Cove. MWW provides licensed NYS wildlife rehabilitation to capture, rehabilitate and release injured, displaced and orphaned wildlife in NYS. MWW relies on resources of federally permitted rehabilitation partners for lab, x-rays, veterinary, surgery, and medicines.